Dandy Walker Homepage - What Is DWS? Dandy-walker syndrome is a congenital malformation involving cerebellum and the cavity in the brain called fourth ventricle. The disease is characterized by the abnormal widening of fourth ventricle, one of the cavities which Central Nervous system fluid (liqour cerebri) takes place and congenital agenezis of vermis (mid-portion of both cerebellar hemispheres). And Consequently a cystic dilatation of fourth ventricle towards the posterior cranial fossa occurs.In addition a clinical situation known as hydrocephalus (increased CNS-fluid and abnormal enlargement of head cicumference) may be present. It has been proposed that disease is due to generalized dysembriogenesis involving fourth ventricle's upper wall. (during foetal development in pregnancy).Cerebellar hemispheres are also hypoplastic and placed towards cerebral margins. Hydrocephalus occurs in 70 percent of patients because of congenitally obstructed Luschka and Magendie foramens which provide CNS-fluid drainage in normal humans. That obstruction leads an abnormal increase in CNS fluid and head circumference. What are the clinical symptoms of disease? The symptoms of the disease begin in the early childhood.The major clinical symptoms are neuromotor retardation (delay in normal neural and muscle tonus development),mental retardation and hyrocephalus. That means delayed development of Central Nervous System and locomotor system resulting in abnormal muscle tonus called "spasticity". Mental and intellectual functions are depressed in half of patients.The other 50% may have normal cognitive functions. Degree of symptoms depends on gravity of congenital disease.If the child has severe malformations from birth the signs may appear at early ages. But sometimes disease may be unnoticed until adult ages.Sometimes the only symptom can be the abnormal enlargement of head.Some childrens may appeal with the signs of increased intracranial pressure such as vomiting,convulsions,agitation or signs of impaired cerebellar function such as equilibrium problems dizzines,abnormal eye movements named nistagmus. What are the coincident malformations seen with Dandy-Walker Syndrome? intracranial structure, "corpus callosum" which connects both cerebral hemispheres to each other and provides interrelationship between. Facial anomalies, extremity malformations and heart anomalies can be seen with disease. 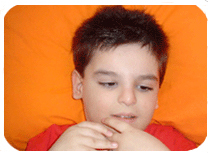 What is the treatment of Dandy-Walker Syndrome? There is no certain treatment for disease.Patients may be followed regularly if they dont have signs of increased intracranial pressure.Sometimes especially in case of "hidrocephalus" an intracranial device called"shunt" can be placed to drain liquor cerebri to peritoneal cavity,thus decrease pressure and prevents widening of head-circumference. 50 % of childs have abnormal IQ-level.In the presence of equilibrium problems and spasticity "physiotherapy" should be made periodically.Childrens must be followed by pediatricians,nuerosurgeons and physiotherapists.The anticonvulsant drugs are used in case of epileptic seizures..